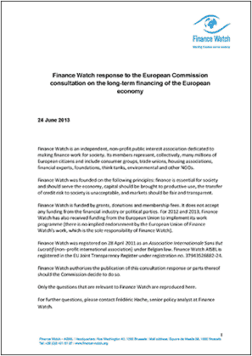 26 June 2013 – Finance Watch has published today its response to the consultation of the European Commission on the Long-term Financing of the European economy. 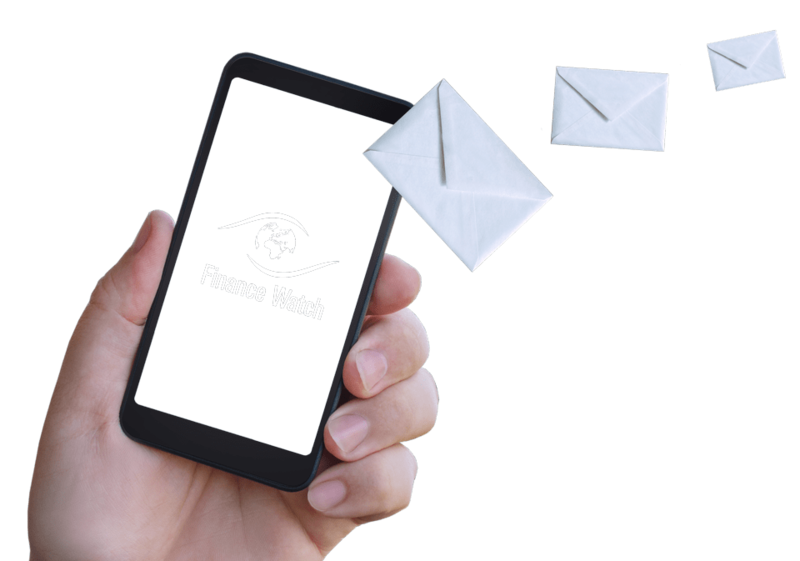 Finance Watch welcomes the Green Paper on the Long-term Financing of the European economy, and the objective to improve the financial system’s ability to channel funding to productive use. We agree with the issues identified in the Green Paper such as the detrimental impact of fair value accounting, short-term metrics and quarterly reporting promoting a short-term perspective, and strongly support many of the related proposals. 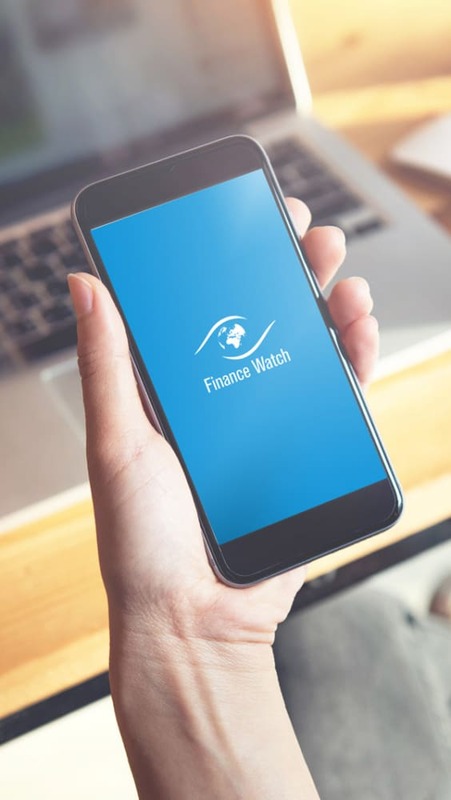 Finance Watch believes that the trend towards non-bank lending and related shift in banks’ business models should be supervised and lead to a decline in maturity transformation in the system through a greater role of long-term investors. It should also be ensured that this shift does not lead to a more fragile, interconnected bank business model. 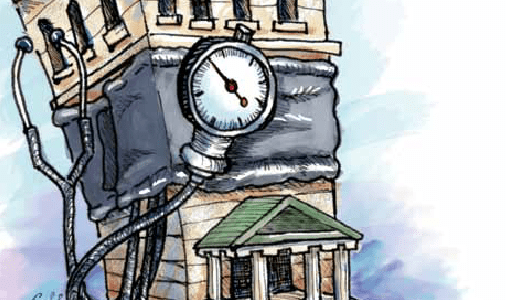 The necessary deleveraging from banks does not require a significant decline in loans and there is a qualitative difference between bank lending and capital market financing, Therefore Finance Watch believes that bank lending should remain the main source of financing. Studies have shown that a dysfunctional banking system and lack of trust in bank solvency negatively impacts all financing channels. It is therefore essential to restore confidence in banks’ solvency, which has not been achieved by Basel 3. We agree nevertheless that a limited development of non-bank lending can provide a welcome additional funding source. As regulators need to monitor this shift in order to ensure that it delivers the right outcomes for all stakeholders, we strongly welcome this consultation. 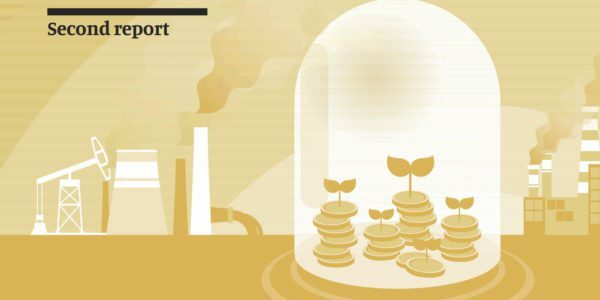 The proposal for European Long-Term Investment Funds (ELTIFs) that was published today is a good first step in providing alternative mechanisms to fund the long-term investments in the real economy.